A very early start in a dark and rainy UK, but with excitement building we head to the airport to meet our fantastic hosts for the weekend, Alice and Katherine from Virgin Limited Edition. 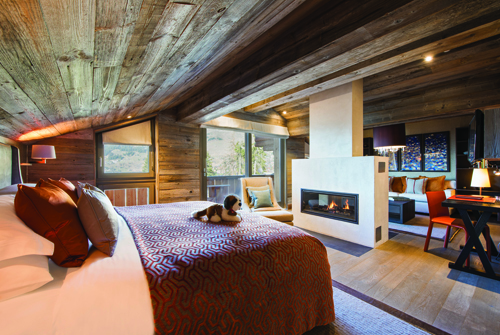 The snow-capped mountains of Verbier are beckoning - our base for the weekend? Richard Branson's fabulous chalet, The Lodge. Bolstered by breakfast and caffeine we start our journey to the Alps, flying to Geneva followed swiftly by catching the train to Le Châble. 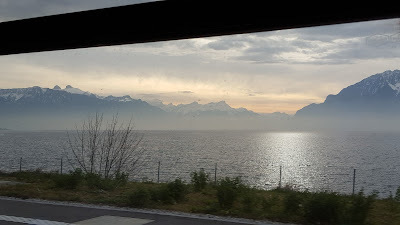 By all accounts the views over the scenic Lake Geneva are beautiful, but after our early start the mist had yet to lift, adding to the suspense as you saw the outlines of mountains through the low lying cloud. Once we reached Le Châble we were met by the two luxury Mercedes Viano's that are at guests disposal 24 hours a day for trips within Verbier. 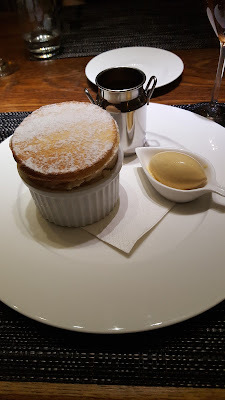 This was also our first introduction to two of the lovely staff who would be looking after us during our stay, and what a warm welcome we received! We eagerly arrived at our final destination full of anticipation to see this incredible chalet we had heard and read so much about. We were met by the fantastic Ashley, The Lodge Manager, who welcomed us into the breathtaking property and gave us a fabulous tour of our home for the next two days. 'Home' is the perfect word to describe the feeling when staying at The Lodge, albeit a very luxurious home! 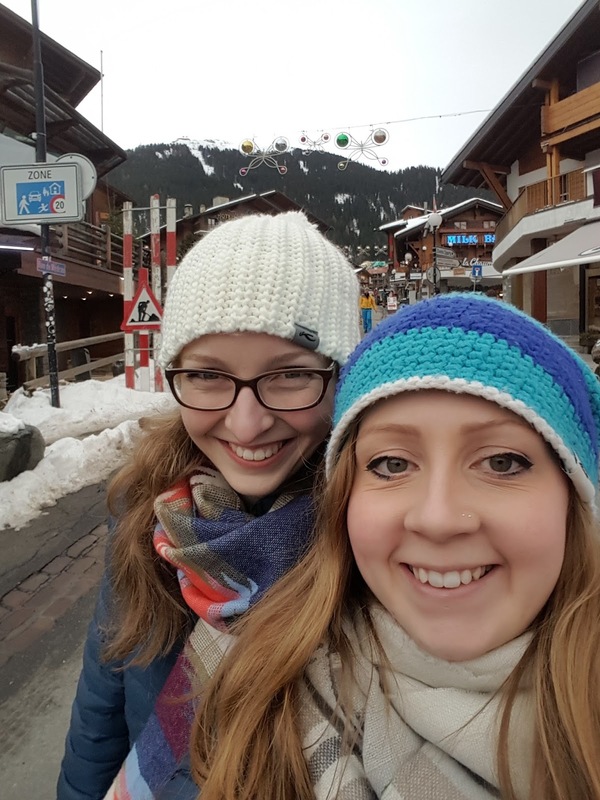 Instantly you feel relaxed, greeted by a smiling, welcoming team and the warmth of an open fire whose chimney rises through the center of the chalet, keeping it wonderfully cosy throughout. The decor is comforting yet incredibly high spec. The recent soft refurbishment throughout the property has been exquisitely chosen to compliment the feel of the chalet, with Ashley playing an integral role in selecting beautiful artwork and interior concept. 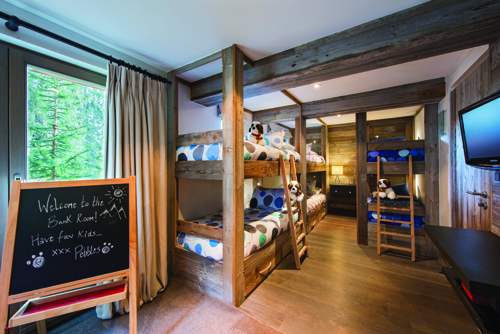 There are 4 floors in total, all serviced by a lift, with the two incredible master bedrooms situated on the top floor and a further 7 bedrooms and a children's bunk room on the 2nd and 3rd floor. The views were truly stunning, and as always with the Virgin Limited Edition there was the inclusion of the famous skiing rubber duck! Another fantastic and unique idea is that the 'do not disturb sign' is a cuddly toy! If you don't want to be disturbed simply pop it outside your door and the staff will 'let sleeping dogs lie'! 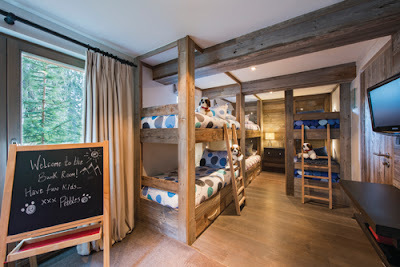 For any children staying at the chalet they are given their very own to take home with them which offers a lovely personal touch. 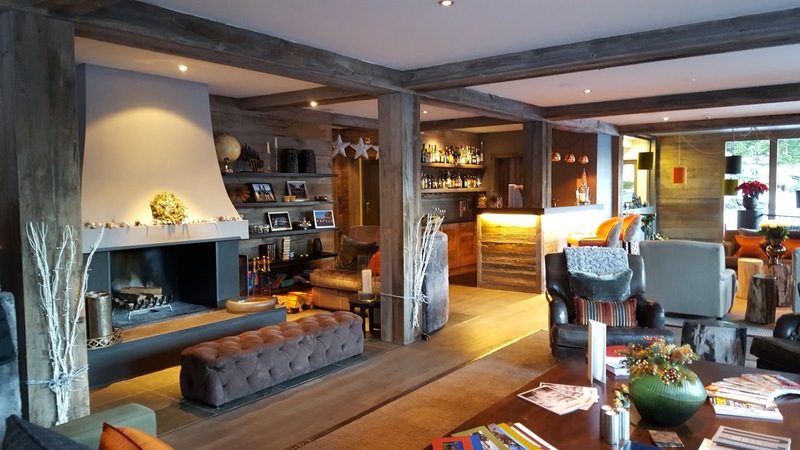 Having had the grand tour of the chalet we soon realised this magnificent chalet offered guests everything they would want to make their stay luxurious. 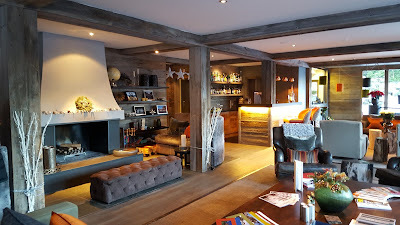 With an indoor pool, sauna, gym, treatment room, indoor and outdoor hot tub, 'playroom' with bar, pool table, giant comfy sofas and a huge TV there is as much fun to be had off the slopes as there is whilst on the mountain! The view into our bathroom! We enjoyed a delicious light lunch of pasta, pesto and charred cherry tomatoes whilst getting to know the other guests, before being encouraged to take full advantage of all of the luxury facilities and activities on offer with the opportunity to have a relaxing massage by The Lodge’s fabulous masseuse. With a wonderful evening ahead we dressed ready for canapés at 7:30pm, which were followed by an incredible three course meal. Before every meal Hugh, the head chef, explains each dish, describing what you are about to eat and where it comes from. 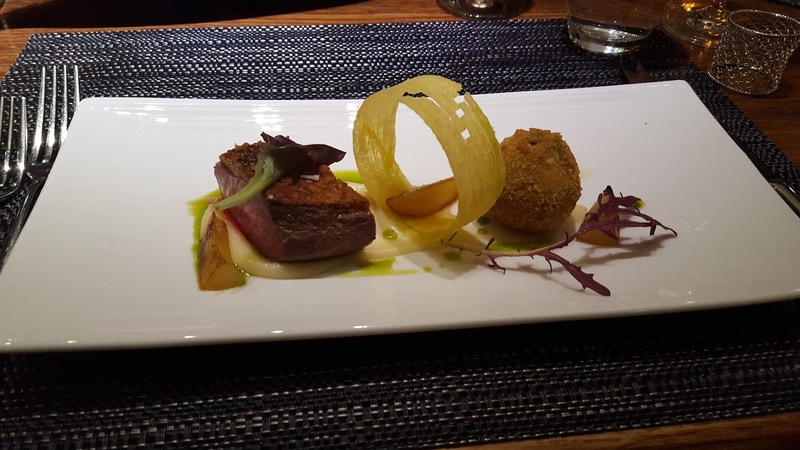 Having recently been a runner up in the International Sustainable Restaurant of the Year Awards 2015 you can be assured that you are eating as much local produce as possible! 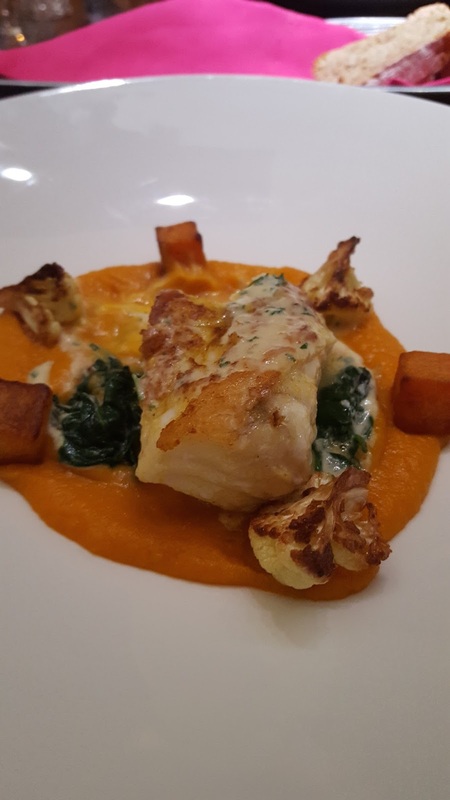 The wines are also perfectly paired with the meals, with their notes, flavours and brief history explained to give you the full dining experience. Should you wish to have any other wine or beverage you need only ask, and there is a complimentary and well stocked bar. Apple soufflé with cinnamon ice cream and butterscotch sauce - heaven! 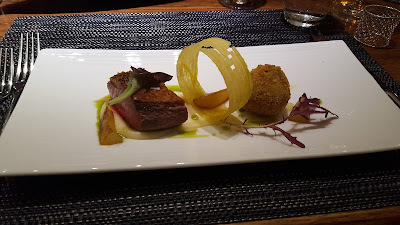 The quality and standard of the food as well as the service was outstanding. After such a fantastic, indulgent evening we already knew our salopettes would be that much snugger by the end of the stay! After a long yet very enjoyable day we retired to bed in preparation for a day on the pistes with a beautiful sunset to wish us a beautiful welcome to Verbier and a perfect finish to our fantastic first day. Last minute Christmas & New Year Offers!